Charles Wesley Ruffcorn was born on February 10, 1951, in Logan, Iowa to parents Leonard Elvis and Lena Mae (Myers) Ruffcorn. 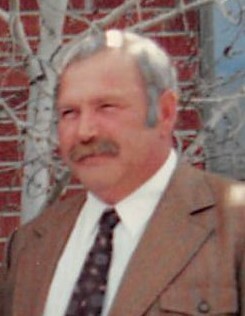 Chuck grew up in the Mondamin area and graduated from West Harrison High School in 1969. He worked at a car dealership in Missouri Valley before being drafted into the Army. After his discharge he worked at C G Johnson Boiler Company in Omaha. He worked in several states with this job. He then went to work for Karol King in Mondamin. Chuck was very handy and a very good welder. He enjoyed fishing and helping out others with their cars and motorcycles. He was very mechanical and could fix anything. Chuck died on Monday, November 26, 2018, at his home in Mondamin at the age of 67 years, nine months and 16 days. Chuck was preceded in death by his parents and a nephew Jeremiah Lee Ruffcorn. He is survived by his sister, Sharon Ruffcorn of Mondamin; brother, Ronald Ruffcorn and his wife Charlene of Avoca, Iowa; nephew, Nickolas Ruffcorn and his wife Lisa; two great nieces Whitney and Danielle and many other relatives and friends.